The god and death stars is a 3-piece band formed by aie on vocal and guitar (ex deadman, the studs, THE MADCAP LAUGHS, etc) and kazu on bass (STEREO.C.K and Kagerou) and Jun Otaka (from rowthe). 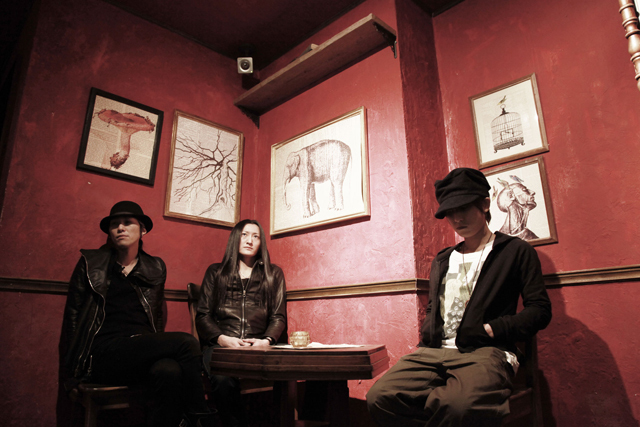 Aie initiated the formation of the band in 2006, and landed on this format in 2010. They have been based in Tokyo, selling music online and at venues only, but started distribution in 2014. The solid and tight band sound comes from the musicianship that each member has.